The Maine Difference Scholarship, a program funded by Lamey-Wellehan, is intended to aid in the cost of attaining an education for a Maine young person studying at a Maine college or university. The focus of the student's studies should be on the ecology and economics of Maine. The emphasis on these aspects with Maine as an intense background is structured to insure that both the student and the State of Maine benefit from the scholarship and careers that result from the student's education. A graduate of a Maine high school in one of the four years preceding the current year who will be enrolled in a Maine college in the fall. Applications accepted from February through May. In 1993 the New England Regional Council of NAHRO established the Allan R. Andrews Scholarship Fund. This Fund was established in memory of Allan R. Andrews who was the dedicated, creative, and effective administrator of the Springfield, Massachusetts, Redevelopment Authority for many years. His active association with NERC/NAHRO spanned three decades during which he represented New England as President from 1978-1981 and as a member of the Board of Governors from 1977-1987. 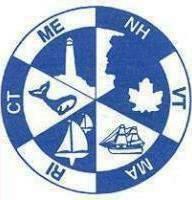 Mr. Andrews’ leadership was responsible for the institution of cooperative meetings between the New England Region and the Maritime Provinces, which continue today. It is hoped that the recipients of these scholarships will be prepared to make similar contributions. Who is Eligible to apply? High school seniors, college students, and adults continuing their education at a post-secondary educational institution. Applicants shall have been residents of Maine for the past two (2) non-college years. How are the scholarships awarded? The scholarship is given for the best short essay on the specified topic. See topic below. Essays must be 300 words or less and written in the English language. Submitted essays will be judged primarily on the basis of content; grammar, spelling, and format will also be taken into account. Essays should be submitted in a written form and must be in a predominantly text format. Award of the scholarship is not influenced by gender, race, creed, disability, or sexual orientation. How do you feel you are prepared to be successful in this state? Specifically, what opportunities do you feel are missing to keep you from becoming a part of Maine’s economy? Please provide three (3) references that can attest to your noted contributions (name, relationship to you, email or mailing address, and telephone number). Note: Proof of college enrollment from the scholarship recipient shall be required before disbursement of funds. When can I apply for this scholarship? Application Period Opens 01/31/2014. What is the application deadline? Applications must be postmarked by 05/15/2014. Only signed and dated essays will be considered. The George H. Cressy Memorial Scholarship supports Portland High School students pursuing their personal best outside of the traditional school environment through experiential education, summer programs or special instruction. Eligible applicants are sophomores or juniors enrolled at Portland High School seeking to participate in an enrichment program or opportunity prior to their senior year. Preference will be given to students with financial need who exemplify Mr. Cressy's belief in hard work, perseverance and loyalty. Students must live in a PWD member community (Portland, South Portland, Westbrook, Windham, Gorham, Raymond, Cumberland, Falmouth, Scarborough, Cape Elizabeth). Students must have a declared major that is related to PWD’s mission to protect public health and the environment (e.g., environmental studies, sciences, engineering, medical, dental, trades, public administration). Preference will be given to a student that attends or plans to attend an accredited college or university (Husson College, University of Southern Maine, University of New England, Southern Maine Community College) in PWD’s member communities. Scholarship will be given on a one-time basis; not "renewable." Preference will be given to students that demonstrate educational excellence through GPA, SAT, academic honors, etc. Preference will be given to students that demonstrate a commitment to the community through volunteer efforts. Preference will be given to applicants that are the first in their family to attend college. Funds must be used towards tuition. The Dr. John & Alice Madigan Fund supports graduating high school seniors at Deering or Cape Elizabeth High Schools pursuing a post-secondary degree at the University of Maine, Orono, or the University of Southern Maine. Eligible applicants must demonstrate academic achievement (cumulative 3.0 GPA), leadership in extracurricular activities, and a solid work ethic. Who is Eligible to apply? This fund provides renewable support for students majoring in journalism or a field reasonably related, including all forms of print, broadcast or electronic media. This includes photography and creative nonfiction if the applicant shows a strong interest in journalism. Recipients must be graduates of Maine high schools or homeschooled in Maine during their last year of secondary education. Scholarship amount: Variable by need, usual minimum of $5,000. How are the scholarships awarded? Award consideration will be based on evidence of excellence in academic performance; evidence of a student’s serious commitment to journalism, as demonstrated by work on campus publications/media, area broadcast stations, summer jobs/internships in journalism or other significant journalistic endeavors, paid or unpaid; and	evidence of financial need. Application process: Application includes work samples and completion of a writing exercise. The Resident Scholarship Program, sponsored by Housing Authority Insurance, Inc., provides residents of Member public housing authorities with scholarships to help them attend college. By completing the application and providing the required supporting materials, current residents who have resided in public or Section 8 housing for at least 6 months can be entered into a drawing for a chance to be awarded one of 50 scholarships worth $2,500 each. Completed applications will be entered into a drawing and scholarship recipients will be notified in June 2014. Must be a public housing or Section 8 resident for at least six months. Must be a graduating high school senior or an adult with a high school diploma or GED. Must be currently attending college or plan to attend a college, university, or technical school. Must have a cumulative GPA of 2.0 or greater or have received a GED. Should you have questions, please call 800-873-0242, ext. 639 or e-mail scholarship@housingcenter.com. Who is Eligible to apply? Any senior student (regardless of sexual orientation or gender identity or expression) enrolled in a Maine secondary school (high school or vocational school) who has been accepted at any college, university or technical school. Scholarship amount: $1,000, awards may vary. How are the scholarships awarded? Recipients are chosen based on their involvement and leadership in promoting equity for LGBT people in their schools and communities, and their commitment and plans for promoting equality in Maine. When can I apply for this scholarship? On or after February 1 of the award year. What is the application deadline? Applications must be postmarked by April 15.
Who is Eligible to apply? Applicants must be either an unadopted orphan, or are or were in foster care at least one year at the time of their high school graduation. How are the scholarships awarded? Selection is based on academic merit, financial need, and written recommendations. The scholarship is renewable. When can I apply for this scholarship? On or after January 1 of the award year. What is the application deadline? There are two parts to the application; an on-line form which closes March 31, and hard copy materials which must have a postmark date of no later than April 15. The Chet Jordan Leadership Award is presented to students who are achieving their goals despite hardship, adversity, or disability. Recipients will demonstrate leadership, independent thinking, initiative and hard work in their communities and schools. Academic excellence is not a prerequisite, but demonstrated compassion, dependability and resilience are. Recipients may apply for renewal consideration throughout their post-secondary education up to a total maximum award of $10,000. Eligible applicants are graduating seniors at the following high schools: Bangor, Brewer, Cape Elizabeth, Cheverus, Cony, Deering, Falmouth, Gorham, Greely, John Bapst, Katahdin, Portland, Scarborough, South Portland, Yarmouth, and all high schools in Aroostook County. Who is Eligible to apply? Currently employed full-time or part-time associates of Hannaford or dependent children* of associates with a minimum of six months continuous service as of the application deadline date, and who are high school seniors or graduates planning to enroll, or students already enrolled in a full-time course of study leading to a baccalaureate or master's degree at an accredited college or university, an associate's degree at a junior or community college, or a certificate at an approved vocational technical institute. *Child is defined as the son, daughter, stepson, stepdaughter, legally adopted child or legal ward supported principally by the associate. Scholarship amount: Awards are between $2,000 to $5,000 and are not renewable, but students may reapply each year if eligible. Awards are for undergraduate study or graduate study leading to a master's degree. How are the scholarships awarded? Scholarship recipients are selected on the basis of academic record, leadership and participation in school and community activities, honors, work experience, a statement of educational and career goals, an outside appraisal, and financial need. Financial need as calculated by Scholarship America must be demonstrated for the student to receive an award. All other criteria being equal, preference will be given first to associates, then to their children. Although Hannaford establishes the criteria, selection of recipients is made by Scholarship America. In no instance does any officer or associate of Hannaford or the Charitable Foundation play a part in the selection. Applicants will be notified in early May whether or not they have been selected to receive an award. Scholarship awards will be made in two equal installments, on August 15 and December 30, mailed to each recipient's home address, and made payable jointly to the student and the school, and must be endorsed by both. What is the application deadline? Completed application must be postmarked no later than April 1.
Who is Eligible to apply? Any high school senior, or home schooled senior, who is a resident of Maine and who has been accepted at any accredited college, university or technical school that is Title IV eligible. How are the scholarships awarded? Students must write an essay, which is read by a panel of judges. The scholarship is not renewable. What is the application deadline? March 31 of the award year. Who is Eligible to apply? Applicants must be a Maine resident. Must be entering or enrolled in an accredited post-secondary institute, and have an interest in pursuing a construction career. Priority will be given to those entering or are enrolled in an accredited Maine post-secondary institute. Applicant must demonstrate a financial need, academic promise and must complete an essay as indicated on the application. Scholarship amount: Multiple awards ranging in amounts from $500-$4000. How are the scholarships awarded? The Associated General Contractors of Maine, Inc. Education Foundation makes awards based on above criteria. What is the application deadline? Completed application must be received by March 31st of the award year. Who is Eligible to apply? The applicant must be a high school senior who is a legal resident of the State of Maine. How are the scholarships awarded? A juried art contest. Student must submit original work in traditional two-dimensional media. Art will be returned by the first week in May. Application process:Art submission entry forms are available from your local high school art teacher or online via our FAQ page at www.lgtees.com. You can also contact the Scholarship Coordinator, Liberty Graphics, P.O. Box 5, Liberty, Maine 04949. Multiple submissions are allowed. Attach an entry form to each. When can I apply for this scholarship? On or after February 10 of the award year. What is the application deadline? Postmark by the third Monday in March of the award year. Senator George J. Mitchell Scholarship - Application April 1, 2014 - supporting materials May 1, 2014. To be eligible to apply, you must be a legal resident of Maine graduating from a Maine public high school, planning to attend a four-year or two-year degree program at an accredited college or university. Applicants must be planning to enter their first year of college in September 2013. The David K. Silverman Scholarship supports two graduating seniors at Portland High School who demonstrate both academic achievement and financial need. Buddy Silverman was a lifelong Portland resident who was devoted to family and friends. His wise and honest counsel was constantly sought. Buddy was actively involved in several family-run enterprises including management of the Exchange Building in Portland’s Old Port. For several decades he personally sustained the last remaining synagogue on Portland’s peninsula, Congregation Etz Chaim. He established the David K. Silverman Fund at the Maine Community Foundation to benefit the institutions he and his family supported in life and to provide educational and economic opportunity for future generations. Dr. McFee fondly remembers his experiences at Deering High School, where he received a first-rate education as a member of the Class of 1949. He and Mrs. McFee established this scholarship to support graduating seniors at Deering who are pursuing post-secondary education at a college or university. Ray Jones Memorial ScholarshipThe Ray Jones Memorial Scholarship supports graduating seniors at Portland High School who are active members of the school community through their participation in either hockey or the arts. Preference is given to hard-working students with average grades who have a strong record of community service. Public Housing / Section 8 / Low Income / Subsidized Housing Residents. The Resident Scholarship Program, sponsored by Housing Authority Insurance, Inc., provides residents of Member public housing authorities with scholarships to help them attend college. By completing the application and providing the required supporting materials, current residents who have resided in public or Section 8 housing since at least August 1, 2012, can be entered into a drawing for a chance to be awarded one of 50 scholarships worth $2,500 each. Your public housing authority must be a participant in either the HARRG or HAPI program through Housing Authority Insurance, Incorporated. The Chet Jordan Leadership Award is presented to students who are achieving their goals despite hardship, adversity, or disability. Recipients will demonstrate leadership, independent thinking, initiative and hard work in their communities and schools. Academic excellence is not a prerequisite, but demonstrated compassion, dependability and resilience are. Recipients may apply for renewal consideration throughout their post-secondary education up to a total maximum award of $10,000. Eligible applicants are graduating seniors at the following high schools: Bangor, Brewer, Cape Elizabeth, Cheverus, Cony, Deering, Falmouth, Gorham, Greely, John Bapst, Katahdin, Portland, Scarborough, South Portland, Yarmouth, and all high schools in Aroostook County. One in support of Portland High School graduates who are pursuing post-secondary education at a four-year liberal arts college or university. The scholarship is available to graduating seniors and is renewable for each post-graduate year. Portland High School graduates already attending college are also eligible. Eligible applicants are students who are passionate life-long learners who are able to articulate their demonstrated love of learning in the essay submitted with their application. They must have achieved a GPA of 88 or higher during their tenure at Portland High School. One in support of graduates of Portland High School who are pursuing post-secondary education at Southern Maine Community College and who plan to major in the building trades. The scholarship is available to graduating seniors and is renewable for each post-graduate year. Portland High School graduates already attending SMCC are also eligible. Eligible applicants must have achieved a GPA of 80 or higher during their tenure at Portland High School. Courage: Taking risks and following your conscience with fearlessness. Concern: Demonstrating compassion and a caring attitude toward others, helping them to achieve their best. Maine residents who will be matriculating into a post secondary program for the first time next Fall. Aimco Cares Opportunity Scholarship -This scholarship is directed to eligible applicants who are graduating high school seniors or current undergraduates who demonstrate both merit and need to pursue an undergraduate degree. Bill Gandert Memorial Scholarship Fund -This scholarship is to benefit an eligible graduating high school senior or returning student who demonstrates both merit and need to pursue educational opportunities in a specific trade or vocation. Mary Lou Manzie Memorial Scholarship -This scholarship is to benefit a non-traditional student by providing eligible applicants who demonstrate both merit and need, a chance to pursue higher education or other training that will lead to better employment opportunities. Neil Churchill Memorial Scholarship -This scholarship is for eligible applicants who are graduating college and pursuing graduate level study (or otherwise seeking a graduate education) who demonstrate both merit and need. Youth have to be members of the Boys and Girls Club of Southern Maine to apply for this and they must be active in programming, volunteering or participating in the clubs activities.